Timed for Oscar season, the Best Picture Academy Award Winners Five Film Collection packages together Shakespeare in Love, The English Patient, Chicago, No Country For Old Men and Crash in one set on either DVD or high-definition Blu-ray. The Blu-ray set marks the debut on that format for Shakespeare in Love and The English Patient, also available individually priced at $14.99 each. 1998’s romantic comedy Shakespeare in Love explores what might have been the renowned playwright’s inspiration for many of his romances. Joseph Fiennes (The Red Baron) plays the bard, who falls in love with Gwyneth Paltrow’s (Country Strong) Viola, a lady who’s scheduled to marry Colin Firth (The King’s Speech) but would rather be acting in plays on the stage — even though that’s forbidden for women. The movie won a total of seven Oscars, also including Best Actress for Paltrow and Best Supporting Actress for Judi Dench (Jane Eyre) as Queen Elizabeth. The cast also boasts Tom Wilkinson (The Kennedys), Geoffrey Rush (Pirates of the Caribbean: On Stranger Tides) and Ben Affleck (The Town). 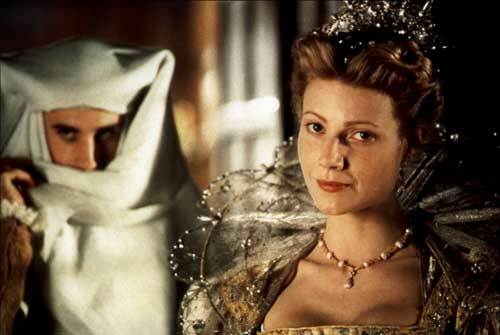 On Blu-ray, Shakespeare in Love comes with audio commentaries, a making-of featurette, deleted scenes and a lot at the Oscar-winning costumes. The English Patient, in theaters in 1996, is an epic story of love during World War II that won nine Academy Awards, including Best Director for Anthony Minghella (The Talented Mr. Ripley), Best Supporting Actress for Juliette Binoche (Chocolat) and Best Cinematography. Based on the best-selling novel , the drama film stars Ralph Fiennes (Harry Potter and the Deathly Hallows Part 1) and Kristin Scott Thomas (Nowhere Boy), both nominated for leading actor Oscars, who start a romance in the months before the war begins even though Scott Thomas is married. Once the war is raging, a plane crash takes the lives of the husband and wife, leaving Fiennes badly injured. By the time the war is waning, he’s in an adandoned convent under the care of a French-Canadian nurse (Binoche). The English Patient Blu-ray contains audio commentaries, a making-of documentary, featurettes, deleted scenes and interviews with the cast and crew. Musical Chicago, released in 2002, won six Oscars, also including Best Supporting Actress Catherine Zeta-Jones (No Reservations). Based on the Broadway hit, the movie stars Zeta-Jones as a woman who killed her husband and sister when she found them in bed together and Renee Zellweger (My Own Love Song) as a woman who killed her boyfriend because he couldn’t make her a star. In 1920s Chicago, the women are on death row together, longing for fame and fortune. The cast also contains Richard Gere (Brooklyn’s Finest), Queen Latifah (Just Wright) and John C. Reilly (Cyrus). Thriller No Country For Old Men, based on the best-selling novel by Cormac McCarthy , also won Academy Awards for Best Director, Best Adapted Screenplay (both for writer-directors Ethan Coen and Joel Coen, A Serious Man) and Best Supporting Actor (Javier Bardem, Biutiful). The film stars Josh Brolin (True Grit) as a man who stumbles on $2 million in cash and witnesses a murder. He grabs the cash and goes on the run, but ruthless murderer Bardem is hot on his trail, and he always gets his prey. 2007’s No Country For Old Men also stars Tommy Lee Jones (Captain America), Woody Harrelson (The Messenger) and Kelly Macdonald (Nanny McPhee). Crash, from 2005, scored three Oscars: as well as Best Picture, Best Original Screenplay and Best Film Editing. Cowritten and directed by Paul Haggis (The Next Three Days), the drama movie has an all-star cast looking at the complexities of racial tolerance in post-9/11 Los Angeles. Among that actors in the film are Sandra Bullock (Demolition Man), Don Cheadle (Iron Man 2), Matt Dillon (Armored), Ryan Phillippe (The Lincoln Lawyer), Brendan Fraser (Journey to the Center of the Earth), Terrence Howard (Ray), Thandie Newton (For Colored Girls) and Michael Pena (Battle Los Angeles). Phew! Five great movies and lots of great actors.